AVANCE’s holistic, multi-faceted, 2-generation programs yield measurable learning outcomes while building community and social capital. 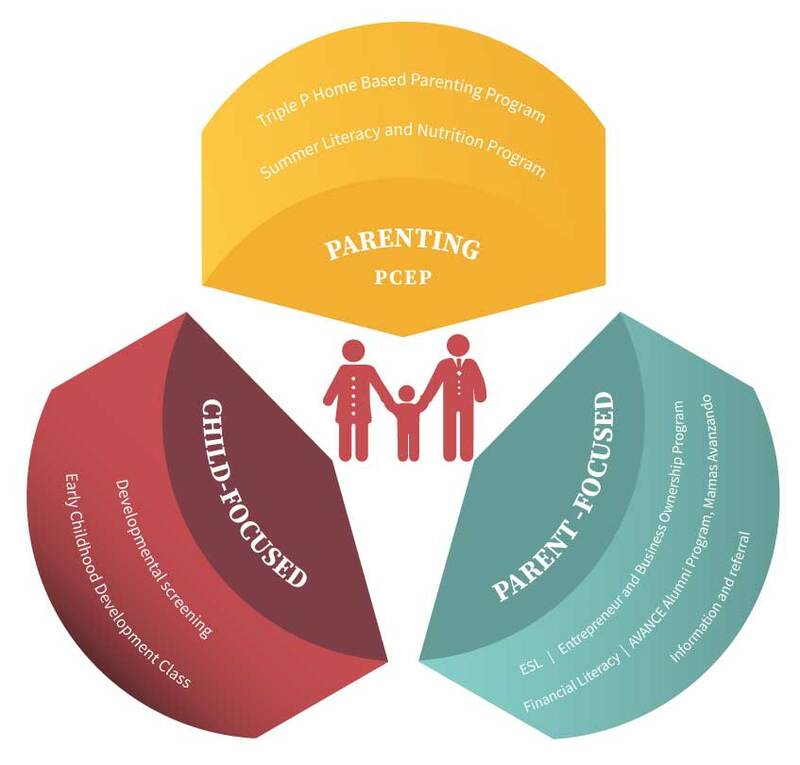 Our hallmark program is the Parent-Child Education Program (PCEP), an evidenced-based model of early intervention that focuses on the interdependent welfare of children, families, and the community. In addition to the core PCEP program, AVANCE-Austin offers additional programs including Triple P - Positive Parenting Practices, English as A Second Language, Summer Nutrition & Literacy, AVANCE Innovative Moms and Dads (AIMs) and Mamas Avanzando Alumni Program.